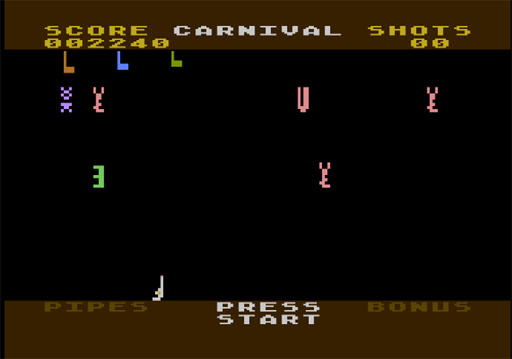 For round four we will play a selection of lesser known games from Zylon's picks. 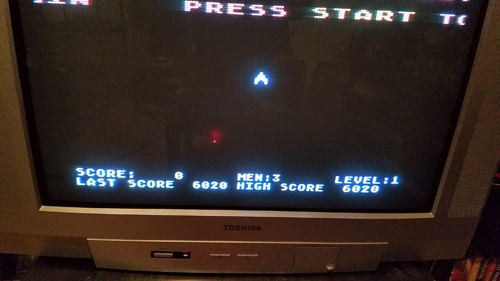 I've picked 6 games that have that classic style; atarimania has them rated between 5 and 6 so they should all have their merits and probably not take that long to play. Zylon let me know if this is the right game? Looks like this one is by atariage's rybags! Press [Space] to start game. 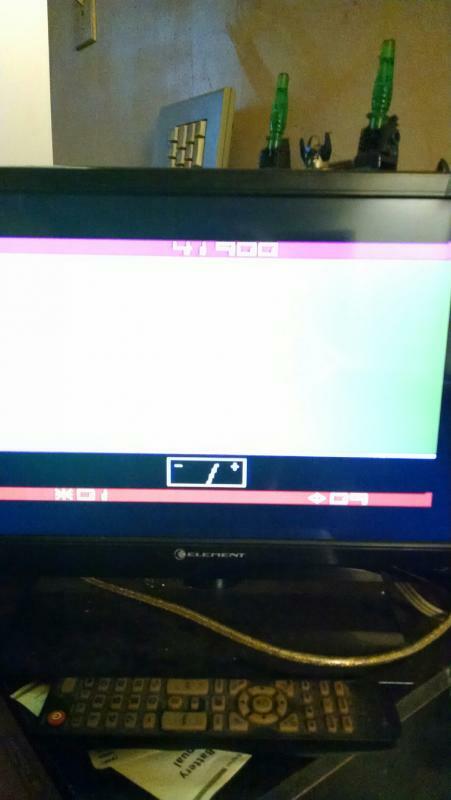 Press [Space] when it says game over to restart otherwise will load the intro screens! 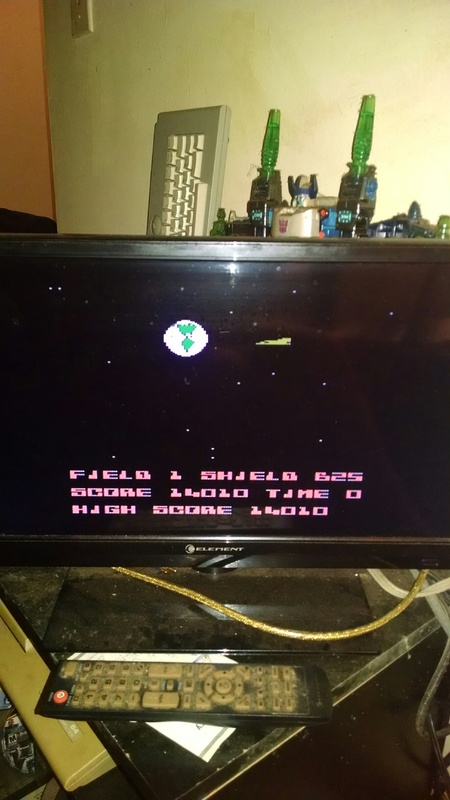 needs disk in R/W to play - saves high scores. 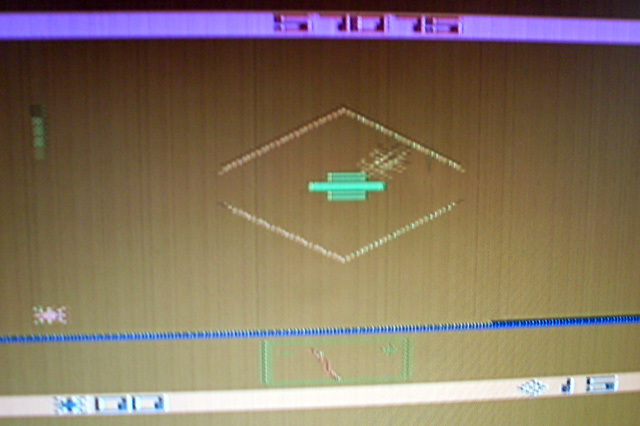 [Esc]=pause. 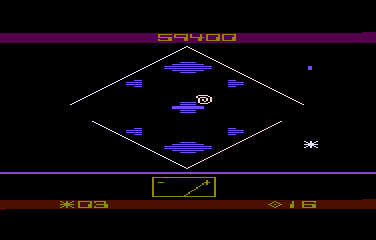 Turns out there is more to this game: there are 5 levels, so it is the "big game" of the round. graywest found a great web site Pix's Origin Adventures which has the full low-down - click on the brown "Enter Here" picture to download a PDF with the instructions. See discussion on posts #52 and #53 have more info, basically collect the 8 ship's parts and the key (or ion drive) and find the secret wall on each level? Edited by therealbountybob, Sat Mar 23, 2019 2:16 PM. Edited by McKong, Sun Mar 10, 2019 6:27 AM. TRBB- Yep, they're all the right games. Most are my simple quickie games I might play at work. Except maybe Caverns of Callisto. 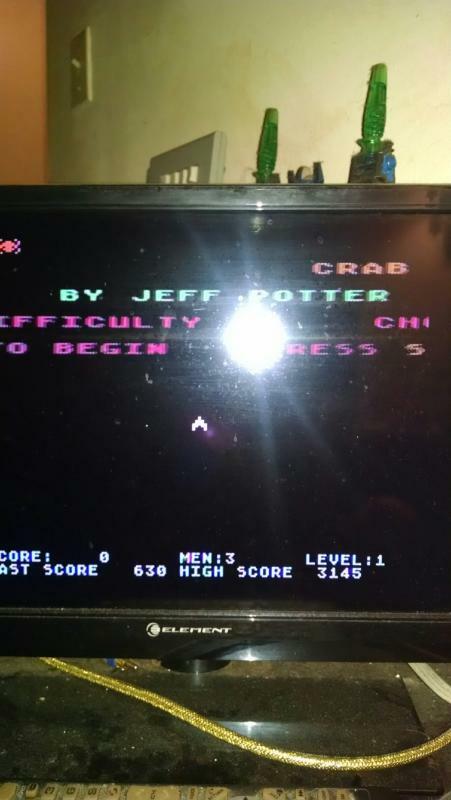 The one I play only says Callisto and is a horizontal shooter. Couldn't say for sure until I saw a screenshot, but the screen y'all show never appears on mine. Edited by zylon, Mon Mar 11, 2019 2:02 AM. 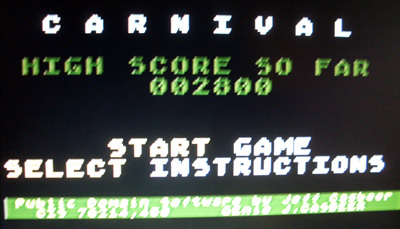 Got in a quick round of Carnival: 7,330! Will have to check the rest out later. Looks like a fun round! Poor Chuckles, getting called "Chuckes." When I was playing (or, well, trying to play) Ultima III without instructions, I always wondered who this Chuckles person was and why he had that name. It wasn't until much later that I discovered his real name: Chuck Bueche. 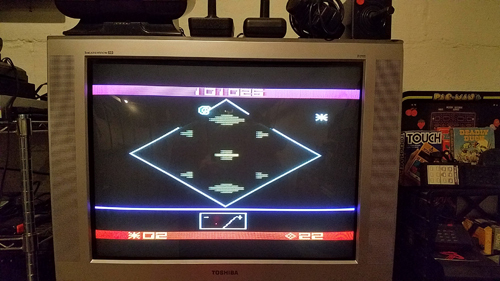 He made quite a few games for the Atari computer. 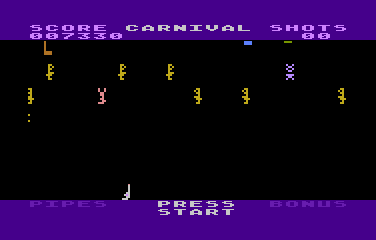 I failed to get Escape to load, and Caverns of Callisto only seems to respond to fire button in port #1, and nothing in port #2. Is it controlled with paddles or something similar? I had a game over 75K, but I hit the fire button before I snapped a screenie. So, this one will have to do for now. Haven't played all of the games yet, but here are a few scores. 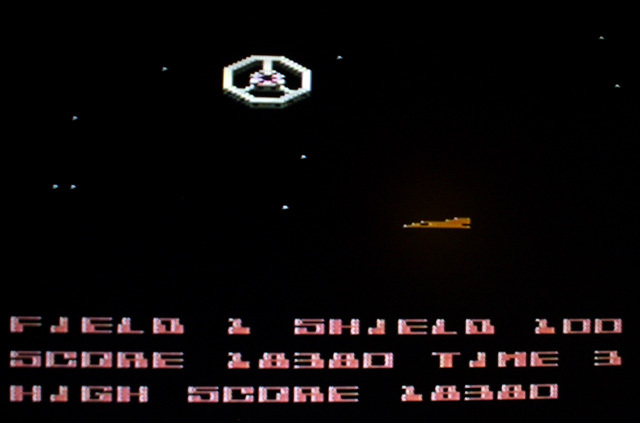 I'm a big fan of Alpha Shield, having played it quite a bit on the 2600 as Spacemaster X-7. This 8-bit version seems identical, actually. 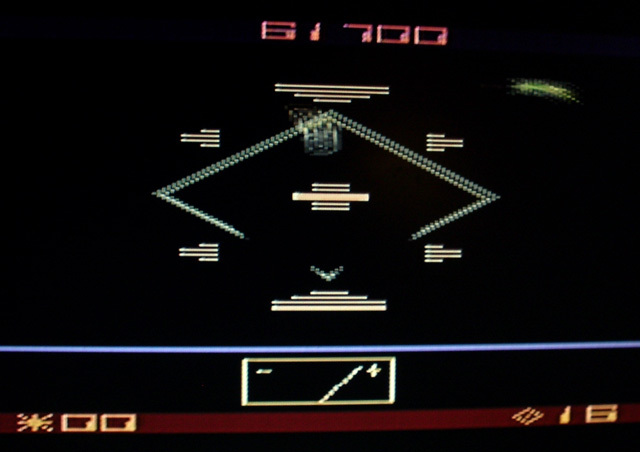 Can't tell until I actually see a screenshot of the Callisto y'all are playing. Mine just says Callisto. We're trying the one TRBB pointed to, Caverns of Callisto. I noticed that TMR released a completely different game in 2012, though I suppose that is not the one you had in mind? 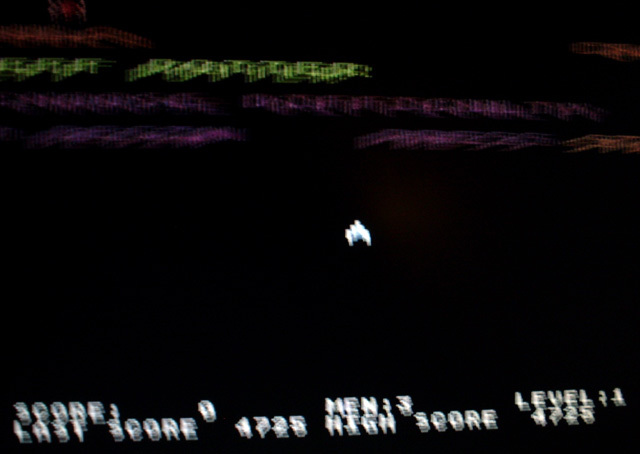 Edit: Though you write "horizontal shooter" above, which makes me wonder if you mean TMR's modern homebrew game after all? Edited by carlsson, Mon Mar 11, 2019 2:15 AM. Edited by McKong, Mon Mar 11, 2019 8:43 AM. I did wonder about this but figured TMR's Callisto was too new looking at Zylon's other picks - so shall we play Caverns of Callisto and we can save TMR's (excellent) Callisto for another round unless there is another Callisto of course? Yep, I'd been playing the TMR game all this time then. Either way, it's good Plays like a combination of Super Cobra and R-Type. Perhaps an all-moon round with Callisto (H-Scroll), Titan (V-Scroll) and Phobos (V-Scroll). If we would want a fourth, add Deimos (Platform). 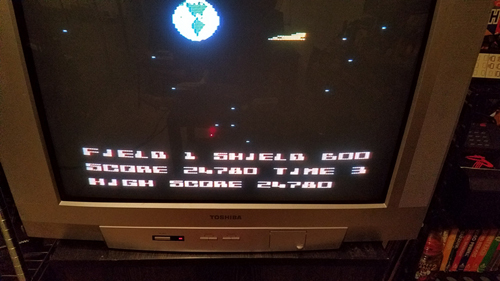 Alpha Shield... first try... not much, but 16050 points. 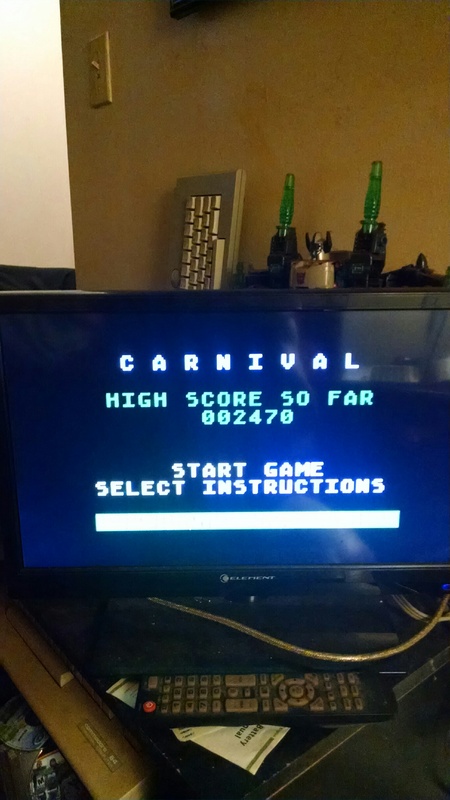 No screenshot, since it is such a low score. I will try more. Not much time these days unfortunately. Alpha Shield looks like a nice game. I'll try CavoCal in emulation later, to determine if Altirra works better than my 130XE (which had its random issues before).